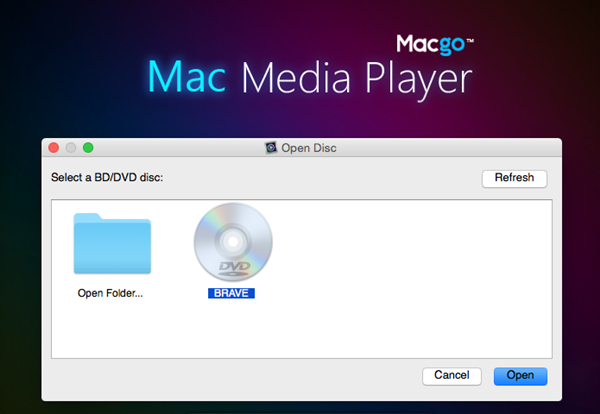 Mac Media Player is a great universal media player for mac from Macgo. It is designed to play all media formats on Mac computers (Macbook Pro, Air, Mac min iMac, and Mac Pro) with High-Definition and terrific audio outputs, including DH DVD, VideoCD, MOV, MKV, AVI, FLV, WMV, MP4, MPEG, RMVB, MP3, WMA, AAC, AC3, etc. 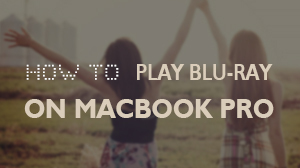 Here we will show you how to play DVD on Mac via Mac Media Player without codex or plug-in. 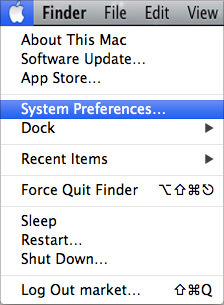 1.1 Open system preferences of Mac. 1.2 Click on "CDs&DVDs" under "Hardware" menu. 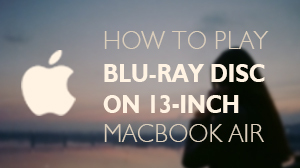 1.3 Choose Mac Media Player as default player when you insert a video DVD. Now that the default player is Mac Media Player, all you have to do is insert a DVD into the drive and click "Open Disc" to wait for the program automatically start. After a few seconds of loading, Mac Media Player will start to run and the "Drive Region" dialogue will pop up. 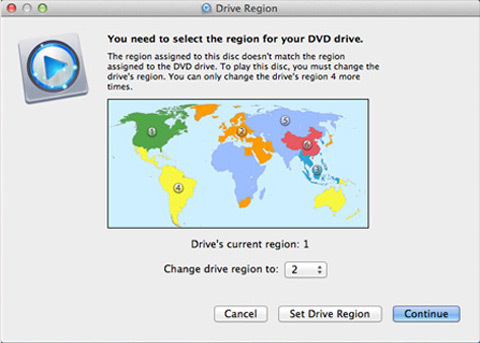 There are three options: "Cancel", "Set Drive Region", and "Continue". 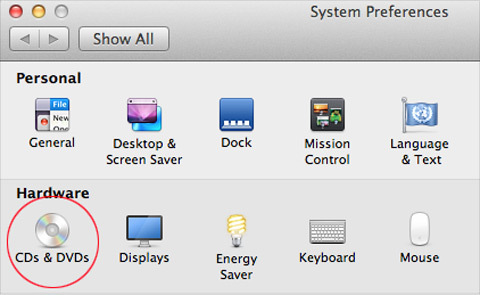 If you choose "Cancel", Mac Media Player will close and the video DVD will be ejected. If you choose "Set Drive Region", you will enter into the region resetting dialogue immediately. Here you should notice that there are only five time for region resetting. If you choose "Continue", the software will help you to read the DVD. It will make or break, which depends on different DVDs. 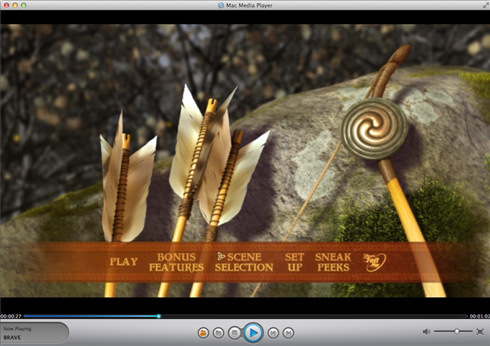 If it works, the Mac Media Player will play the HD DVD automatically, and you will enter into the disc menu. You can make the settings here. 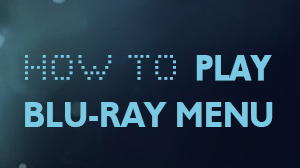 Afterward, you can click on the play button to start your HD DVD entertainment by Mac Media Player software. NOTE If the playback is unsuccessful, here are some tips for you.